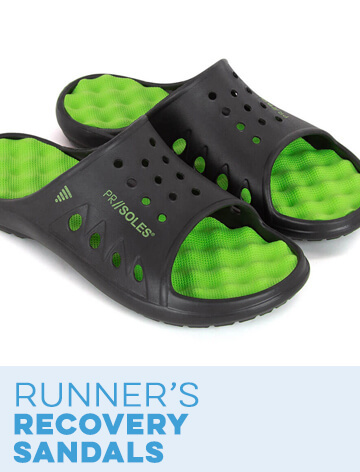 Speed up your recovery after a long run with a pair of PR SOLES® running recovery flip-flops from Gone For a Run. These specially designed post-run flip-flops include cushioned ACUPOINT® Patent Pending soles, which massage your feet using acupressure points. Each trigger point creates massing on your feet. Foot massage can activate your nerve endings and encourages increased circulation as well as the breakup of painful uric and lactic acids. By stimulating your nerves, massaging action can help alleviate lower back, leg and foot pain while eliminating swelling and tension. This will help you experience a faster recovery time and relief for your sore feet and legs. Be aware that the first time you wear PR SOLES sandals, you may experience some discomfort until your feet adapt. It is also recommended that you measure your feet and choose your size based on our size chart. How Do PR SOLES® Work? The unique raised “triggers” on the ACUPOINT® soles activate nerve endings in the feet that send healing relief through the entire body. These triggers are specially designed to massage your feet improving circulation and breaking up painful lactic acid and uric acid that accumulate in the feet after a run or any extended time on your feet. 1. Improves circulation by stimulating blood flow, which will refresh the feet and legs. 2. Breaks up accumulated wastes such as lactic and uric acid in the feet. 3. Alleviates foot, leg and lower back pain. 4. Reduces swelling and tension. 5. Stimulates nerve endings benefiting the entire body. 6. Feet and legs recover faster. PR SOLES® Recovery Flip Flops Sizing PR SOLES Recovery Flip Flops are designed to be the most comfortable post-run recovery footwear. The wider footbed allows your foot to breath comfortably, and will accommodate swollen feet after long runs. Please note: sizes listed are street shoe sizes. Runners tend to choose a half to a full size larger for their running shoes - this should not be the case for our PR SOLES Recovery Flip Flops. For the best fit, we recommend that you measure your foot and compare that number to the foot bed length in the size chart. Choose the size corresponding to the foot bed length that is slightly longer than your foot. Rated 3 out of 5 by Margo from Comfy but not durable These sandals are great for recovery-I like that they don't have a high arch, something that a lot of similar products have. However, the foam on the bottom is not very durable. 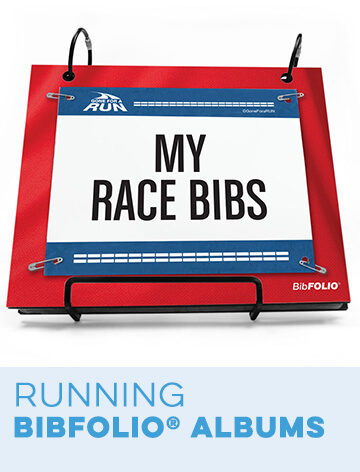 I generally wear them after races or longer runs, either around the house or in parking lots. The soles are already full of indentations, including one rather large hole from when I stepped on a rock. I have other flip flops that I wear much more often that hold up to a lot more. So for the price I paid, I can't say that they were worth it. Rated 5 out of 5 by Mary from Awesome recovery tool! I've struggled with sore feet after running even on shorter (3-7miles) runs. 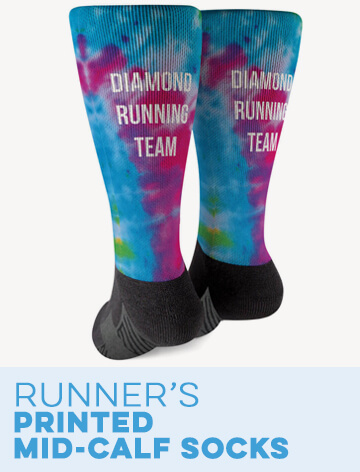 I recently ran my 1st 1/2 marathon and put these on right after crossing finish line, within an hour I felt like I didn't even run that day. Could even tell difference in how my calves and legs felt. Highly recommend! Rated 4 out of 5 by LesW from Works for recovery! I am loving these recovery flip flops. I need shoes with lots of support/ cushion or my feet, legs, and hips ache at the end of the day. These flip flop, although thin, really do keep my feet feeling good all day long and esp after a long run. The only downside is the pink shows ALL the dirt, within the 2nd day of wear. Now a permanent "dirty foot" stain. I'd get the black on black ones next time. 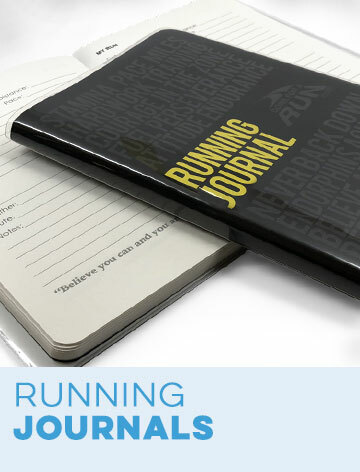 Rated 5 out of 5 by Runnermom2 from My feet are happy! I got my recovery flip-flops and I wore them for the first time after a 18 mile run and I was very happy with them. I didn't feel like the bumpy soles hurt my feet at all. They were comfortable and easy to wear. 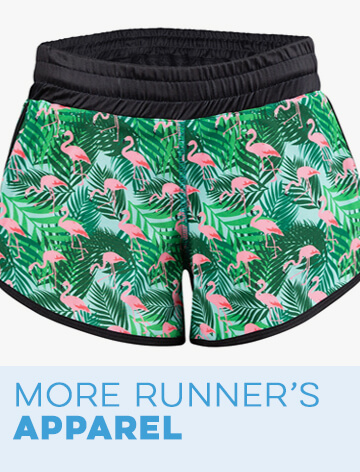 I've worn them after most of my runs and my feet really appreciate it! Rated 5 out of 5 by jbo911 from These feel great I'm not a doctor, but I got these to wear when I got home from being at work on my feet all day and they are amazing. I put them on first thing in the morning when I'm getting ready, and as soon as I get home. I will put them on after a run or a softball tournament too, but I put about 12 miles a day on my feet at work so that's where I get the most benefit out of them. I highly recommend! Rated 5 out of 5 by burnettd7 from Love them I bought these a month ago. 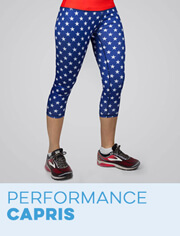 I change into them after every run. I'm not running long distances yet but they are still incredible. You can definitely feel your feet "relax" as soon as you put them on. Rated 5 out of 5 by Jen M from So comfortable! These shoes massage and relax my feet. 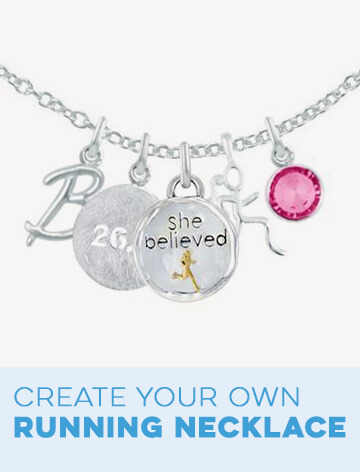 I am a marathon runner and just love them! They are now my "home shoes". I have them on whenever I'm home. 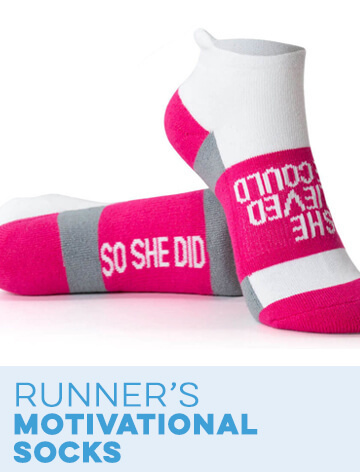 I even ordered a pair for my sister who is a new runner. She loves them too! 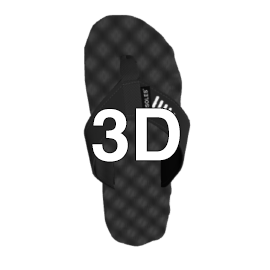 PR SOLES® Recovery Flip Flops V2 - Black is rated 4.7 out of 5 by 126. Sizes: What shoe size is a large? &nbsp;I wear a men&rsquo;s size 12 shoe for running. A size large is recommended for a men's size 9-10. If you wear a size 12, we recommend size XXL. Size Large measures 27.75 cm in length and fits men's shoe sizes 8.5 to 9.5 and women's shoe sizes 9.5 to 10.5. For the best fit, we recommend measuring your foot length and comparing that number to the size chart, which you can find by clicking on &quot;View Size Chart&quot; in blue near the size option menu. If my foot size is 23.5 centimeters exactly. Should I order a XXS or XS? The difference in foot bed length between a XXS and a XS is 1 1/4 cm so either size should work, and it is a matter of personal preference if you like a little extra length or not. Are they for women or men? 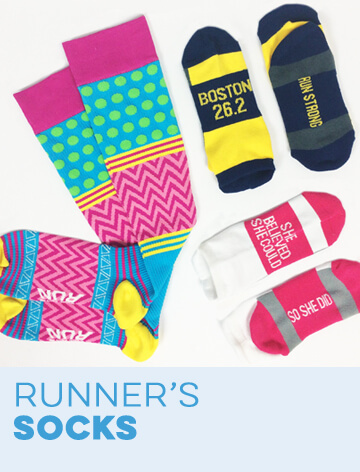 These have unisex sizing for both women and men. When ordering, be sure to check the size chart to the left of the size option menu. For the best fit, we recommend measuring your foot and comparing that to the foot bed lengths on the size chart. I am a size 9- what size should I get? For a men's size 9, we recommend a size large and for a women's size 9 we recommend a size medium. Please note, we always advise checking the size chart as the foot bed length measurement is the most accurate representation of our flip flops! What size would I purchase for size 9 1/2 woman's flip flop? In our PR SOLES&reg; Recovery Flip Flops, a Medium should fit women's shoe size 9 1/2. Since sizes vary between brands and styles, to choose the most accurate size we recommend you measure your foot (or the foot bed length of a similar pair of shoes you already have), compare that number to the foot bed length on the size chart, and choose the size corresponding to the foot bed length that is slightly longer than that measurement. You can find the size chart for these Recovery Flip Flops at the link below: https://www.goneforarun.com/size-chart-pr-sole-flip-flops.html?brand=GFAR If you need further assistance, please contact our Customer Service Team directly at (866) 329-5603 or send an email to support@goneforarun.com. Thank you! As for flip flop size to choose which would be for a woman size US 7-8 shoe ? In our PR SOLES&reg; Recovery Flip Flops, an Extra Small should fit women's shoe sizes 6.5 to 7.5, and a Small is for 7.5 to 8.5. Since sizes vary between brands and styles, to choose the most accurate size we recommend you measure the wearer's foot (or the foot bed length of a similar pair of her shoes), compare that number to the foot bed length on the size chart, and choose the size corresponding to the foot bed length that is slightly longer than that measurement. 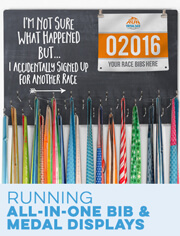 You can find the size chart for these Recovery Flip Flops at the link below: https://www.goneforarun.com/size-chart-pr-sole-flip-flops.html?brand=GFAR If you need further assistance, please contact our Customer Service Team directly at (866) 329-5603 or send an email to support@goneforarun.com. Thank you! I'm thinking of using these as backpacking camp shoes. How much would a size 12 men weigh? A pair of our PR SOLES&reg; Recovery Flip Flops in a size XXL, equivalent to a men's size 12, weighs approximately 0.45 lbs. Thank you!